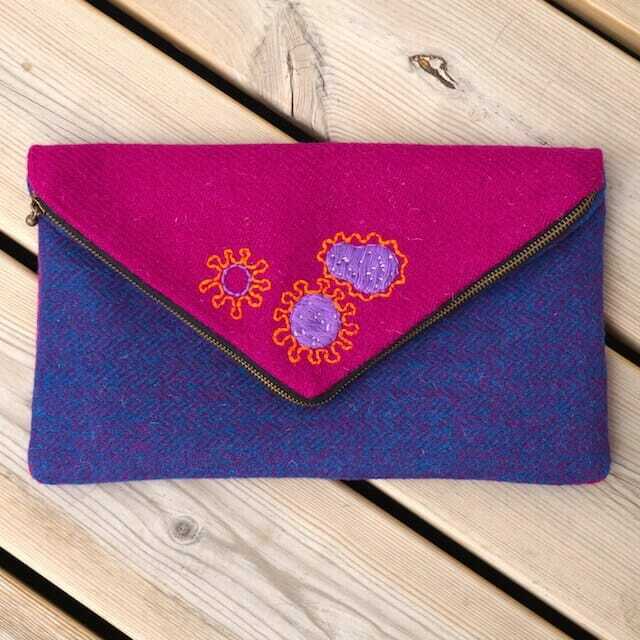 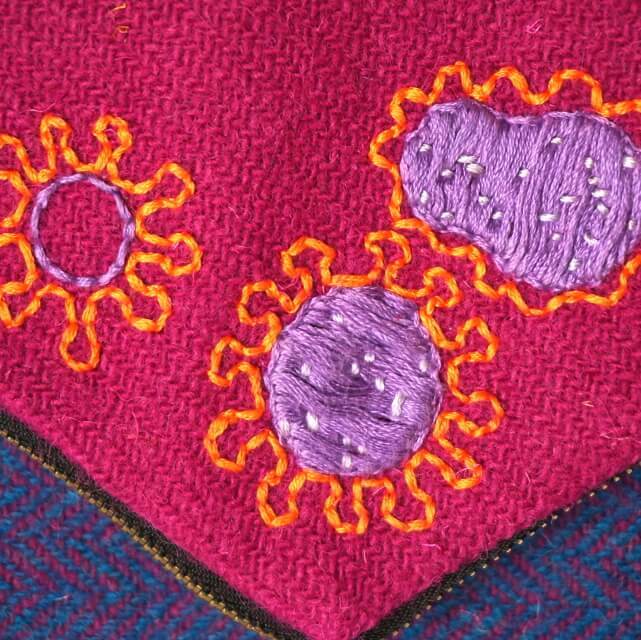 This deadly beautiful clutch bag is embellished with hand embroidered impression of a Coronavirus, SARS – like virus. 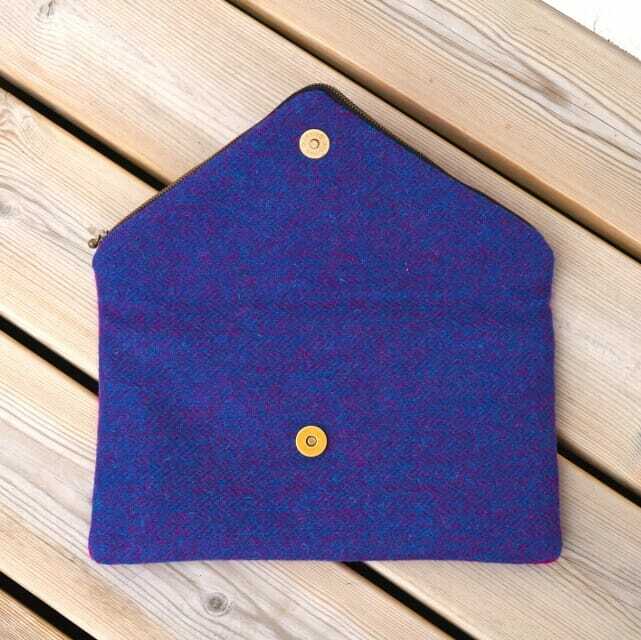 It is made with wonderful Harris Tweed; a luxury, pure virgin wool cloth, hand woven in Outer Hebrides of Scotland. 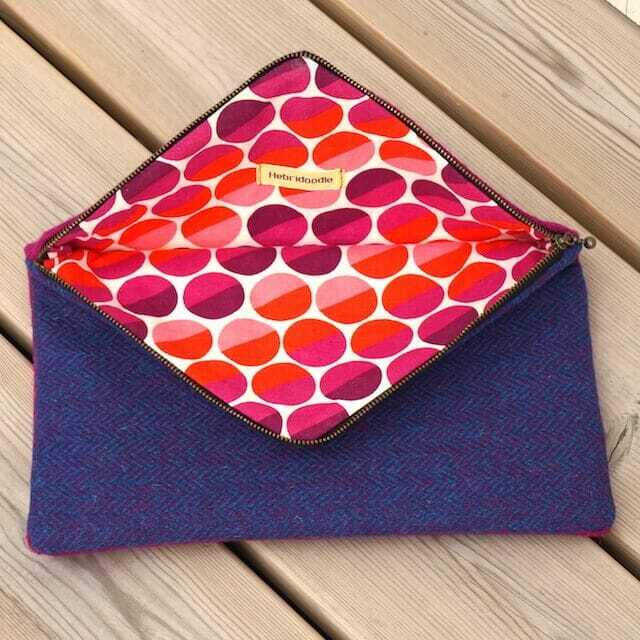 It is secured with zipper and magnetic clasp, and it is fully lined with colourful cotton fabric. 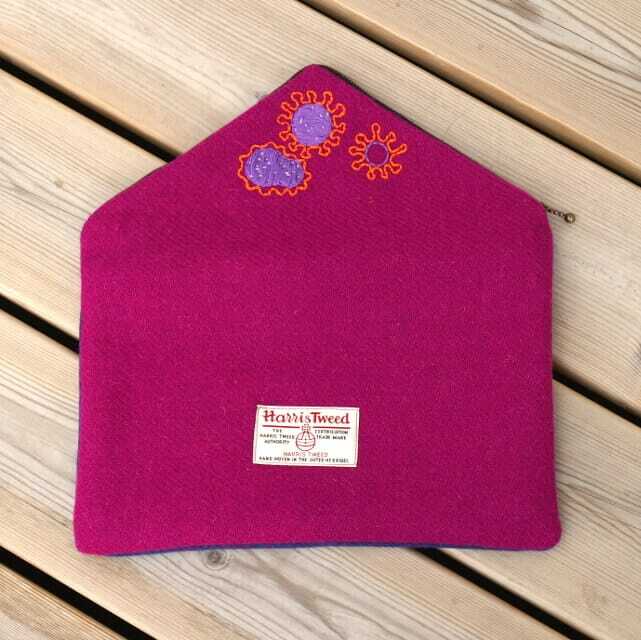 Measurements when closed 26cm high, 28cm wide.